GP practices are struggling under significant workload and have reached breaking point. That’s not safe for patients or staff. Patients risk losing their GPs unless pressures on general practice is dramatically eased. When you combine high patient numbers with a decrease in GPs and funding it’s a recipe for disaster. 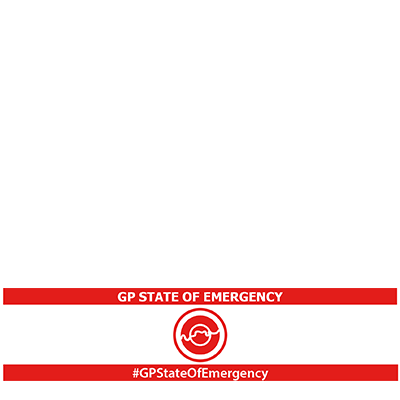 This is why we want you to support our call for a #GPStateOfEmergency.